Documentation and SupportReleases Rutabaga Release Notes 2016-07-07Google Sheets Connector now available. 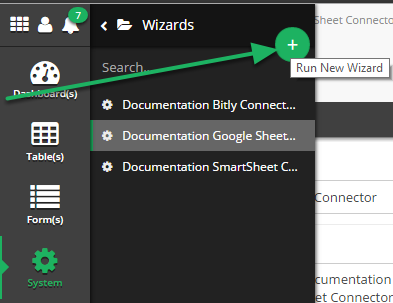 New Wizards can now be created to use Google Sheets. 1. 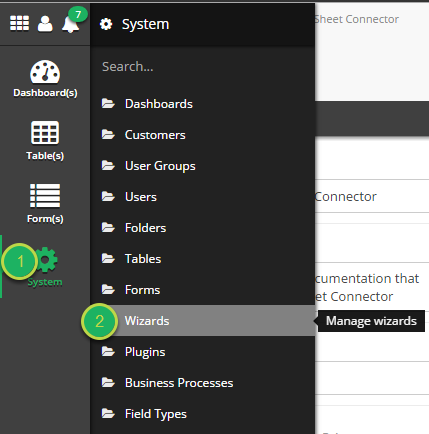 Navigate to the Wizards System Tool. Click on the "Wizards" System Tool. 2. Create a new Wizard. Click the "Run New Wizard" button (+) to launch the "Run New Wizard" modal. 3. Fill out the Connection Information in the Form. Name: The name of the new Wizard. Description: Information about the new Wizard. Wizard Type: Select "Connection" from the drop down. Defines what type of Wizard is being created. Type: Select "Google Sheet" from the drop down. 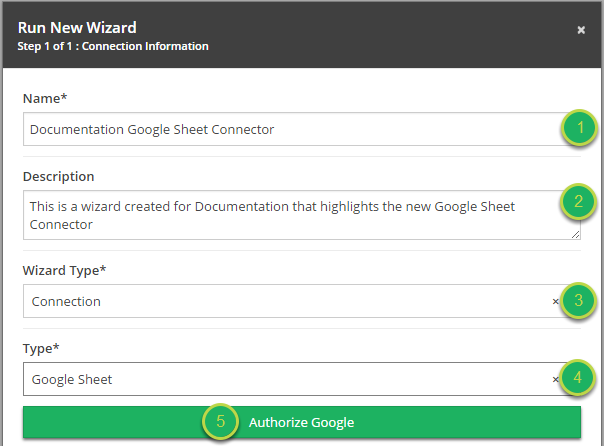 Defines that we are creating a new Google Sheet Connection Wizard. 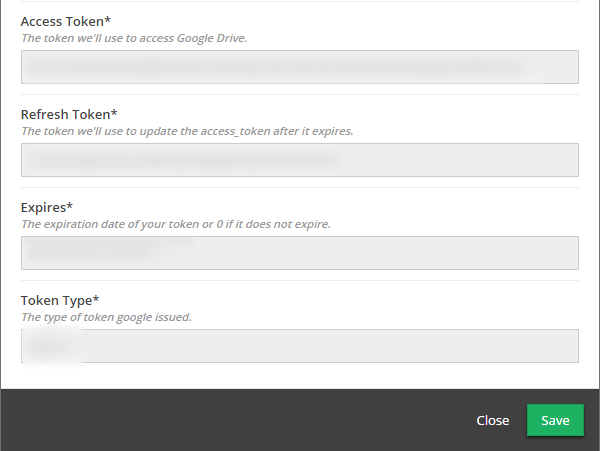 Authorize Google: After filling out Connection Information, click this button. A new window will open, allowing the authentication of credentials to be used with this Wizard. 4. 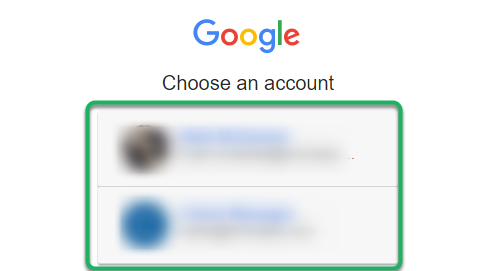 Select which Google account should be used for this connection. Click on the account to be used with this connection. 5. All of the Token information will be automatically entered into the second part of the Form. 6. Your Google Sheet Connector is now available. 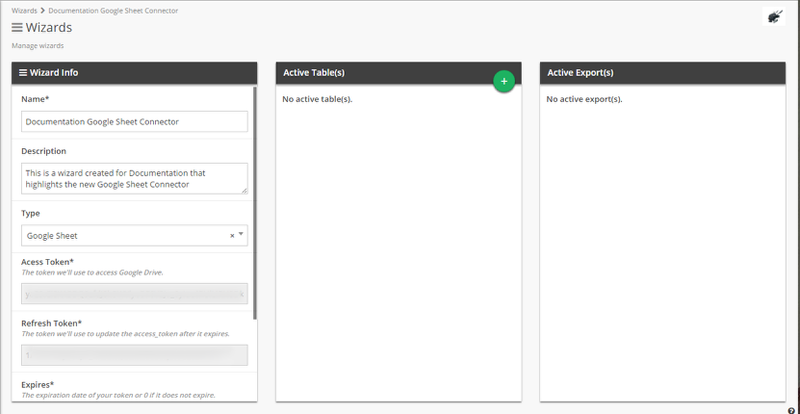 Prev: Drag and Drop is now available on Forms. Next: Column Auto Mapping is no longer case sensitive.